Yesterday a motley group of people assembled at Iskcon Temple,Bangalore to explore Janmashtami celebrations in the city. A quick tour of Iskcon gave a glimpse of Gaudiya Vaishnavism and Iskcon’s Hare Krishna movement. The chanting of ‘Hare Krishna and Hare Ram’ , the soulful bhajans at the Radha Krishna temple, the glittering idols amidst colorful fragrant flowers, the flickering brass lamps added a divine touch to the cultural walk. Then began a tour of homes that usher in Krishna’s birthday in style. Our first stop over at a traditional Tamil home gave us a glimpse of Iyengar traditions. 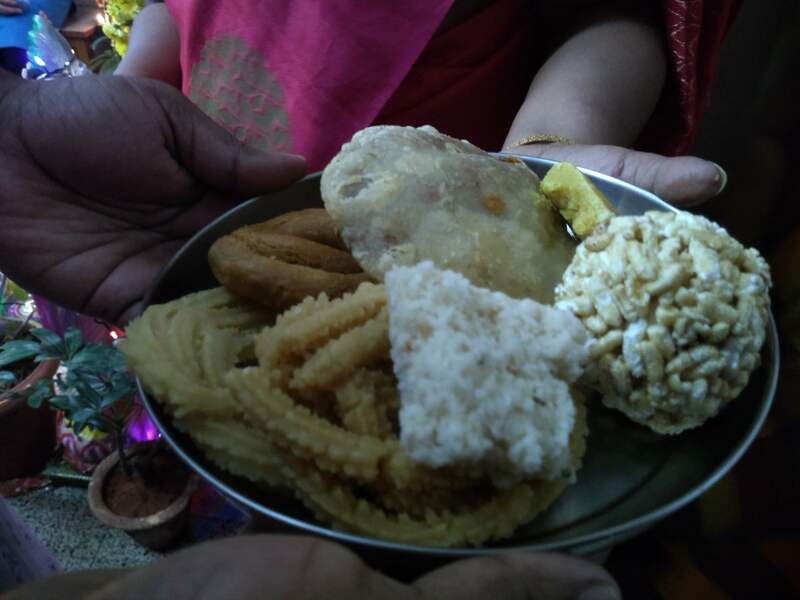 The walkers were welcomed with a smile and served with delicious usili and sweets. They heard the stories of Krishna’s midnight birth and his adventures. 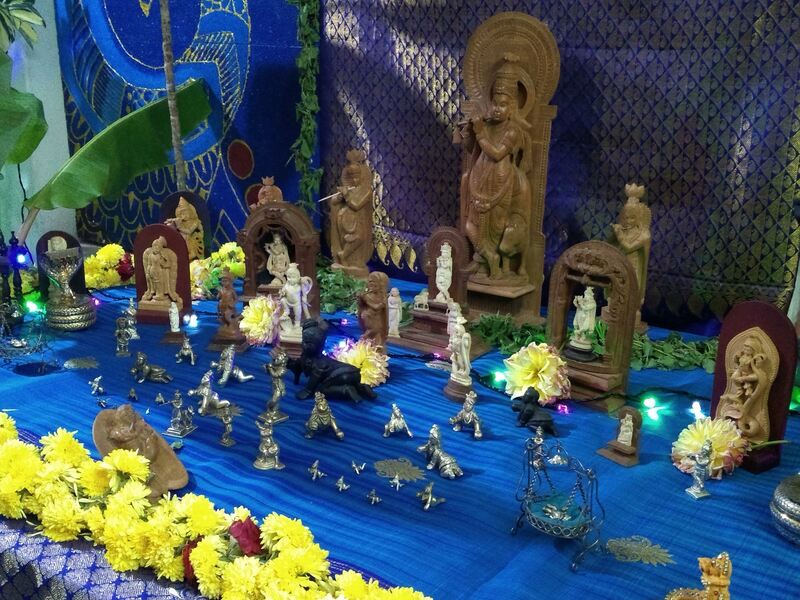 The cradles all decked up with fruits and savories looked delightful- after all baby Krishna was arriving. 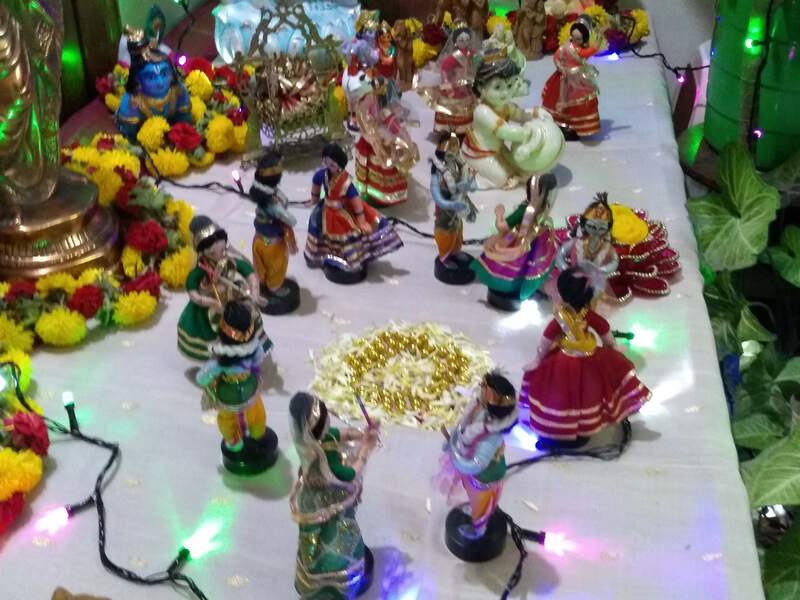 Numerous krishna idols- some depicting Laddu Gopal, Krishna the musician playing the divine flute or the lover boy performing Raas Leeela with his numerous gopis-milkmaids and Radha – heritage displayed with pride at owner’s home. 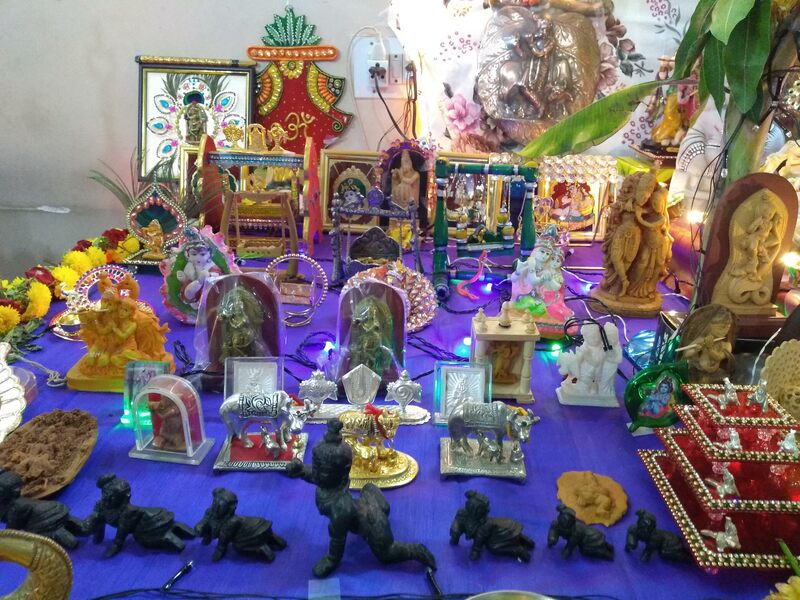 The tour showed a different aspect of celebrations at each home. 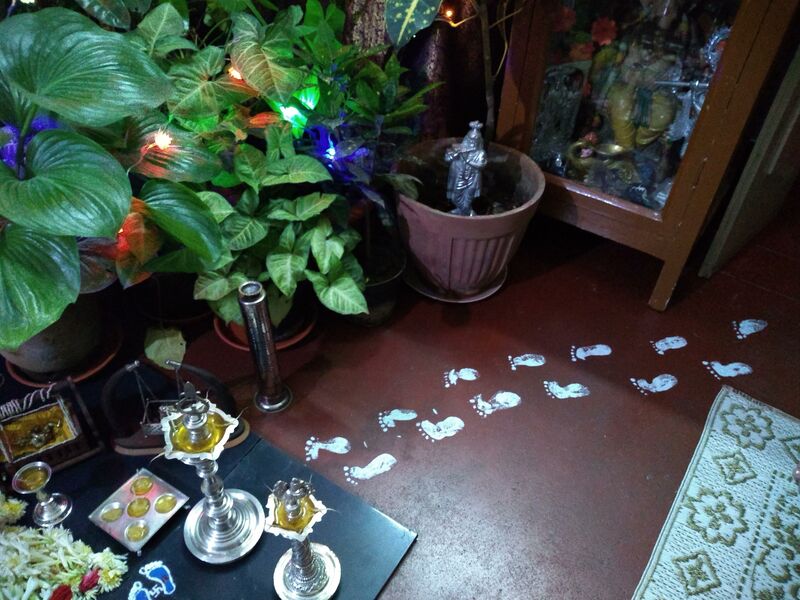 While some lovingly enticed Krishna with sweetmeats and snacks, some brought him alive printing Krishna’s naughty footprints on the house floor. The Indian hospitality was in full flow – the walkers went home with a smile laden with gifts and sweetmeats. 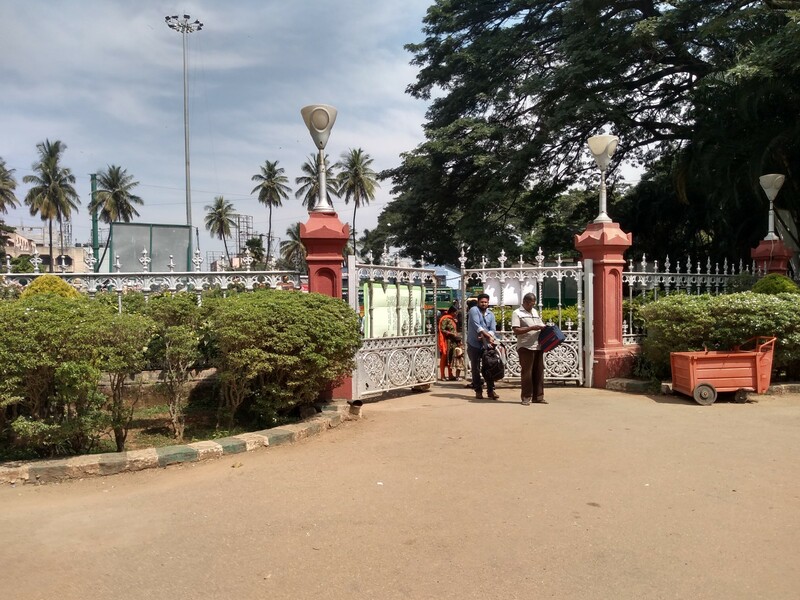 CITY HERITAGE – or the lack of it? Bengalureans are usually surprised when I say the city is very old, at least a thousand years old! Many continents and countries weren’t yet discovered when our city was a big bustling place! 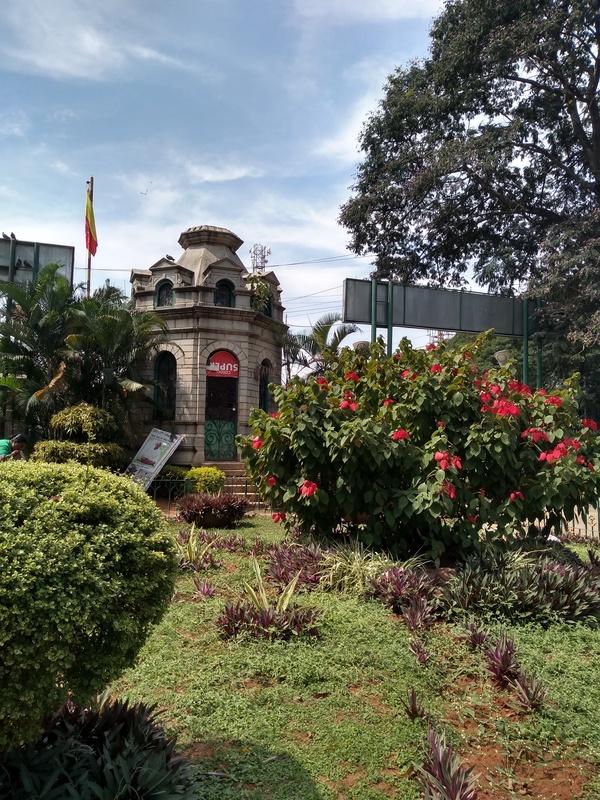 So why do we think Bangalore isn’t old ? The answer is usually ‘the lack of heritage structures’. interaction & encouragement to private owners through tax reliefs, higher property value and certain structural change restrictions. I was also told that in some places in London, there’s a law that certain city views cannot be altered! Two recent events by individuals or organisations have raised this fact. 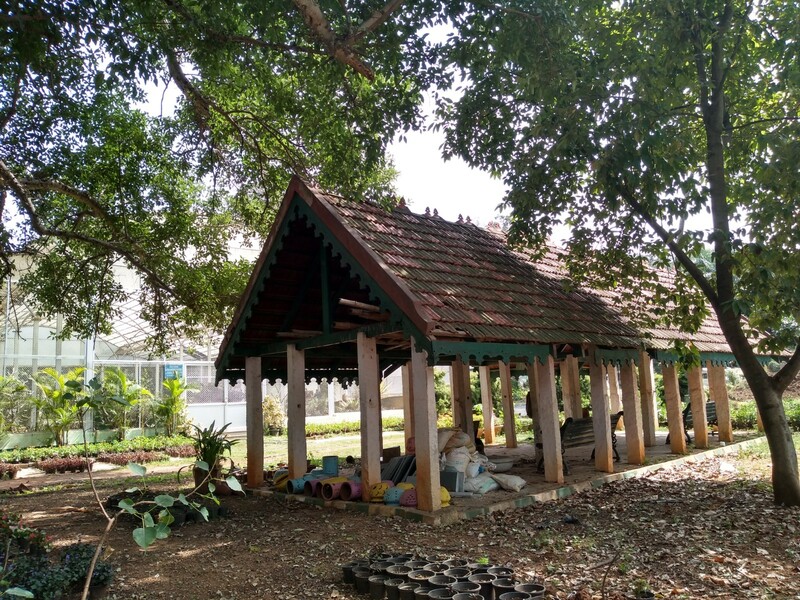 One is a fellow heritage enthusiast, Udaya Kumar’s research on Inscription stones & his experiences of the process – the interaction with the locals and their pride when they came to know its significance. 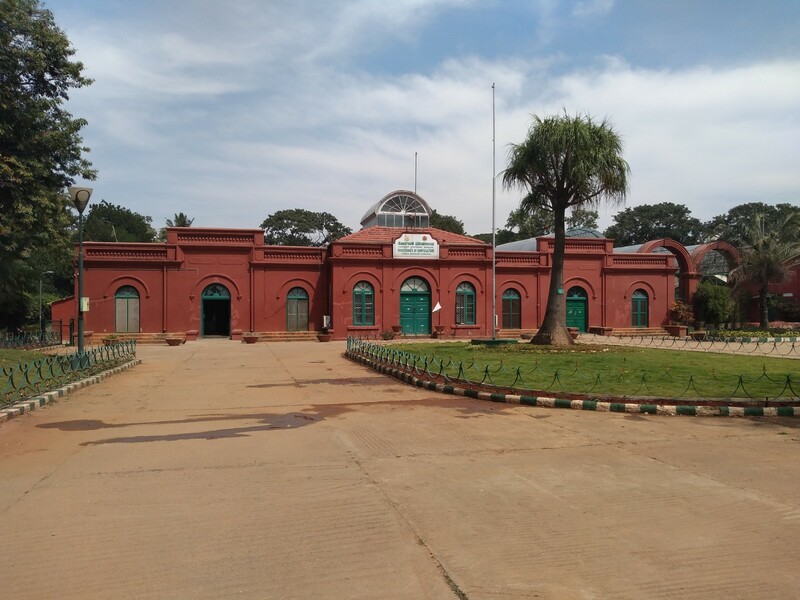 The other is heritage building demolition inside Lalbagh by the Horticulture department as it was ‘beyond repair’ and heritage organisations & Individuals’ protest. While this is just one known demolition compared to several others that have gone or will go unnoticed in & around the city. Since the last decade, many public & private structures have gone down drastically. Here’s some statistics by INTACH (a heritage awareness organisation), Bangalore. Those who do raise our voice for heritage awareness feign helplessness when our own heritage homes are demolished to create a plush suite of flats or worse still sold to be used as a commercial structure! So what is the solution? It’s a very complex answer. 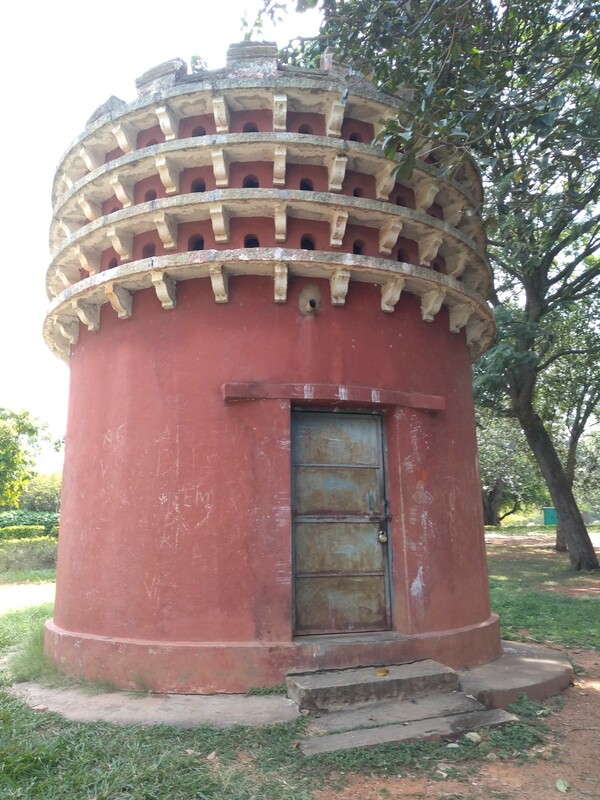 Here are some points and observations through various discussions with travellers, experts, civic planners, fellow bangaloreans on problems & solutions to preserve heritage structures. The government has to create awareness of heritage and preserving old buildings to the common man. For example, how old is ‘heritage’? Is a 100 year old building heritage while a 90 year old one is not? It has to create a robust heritage bill – however ‘no government will to create one due to rising real estate prices in Urban cities’ is the opinion of many. With public structures, money is not an issue as government funds are surplus. Usually it’s just ignorance or just flippant attitude to an ‘old building’. Instead of tax reliefs and subsidizing the cost of maintaining a heritage home, most private ancestral home owners also have the burden of a huge property tax. Some preserve for the love of it while many demolish it for an easier to maintain home with modern facilities. Joint families going nuclear and shared ownership also results in division and demolition of properties. The lure of real estate value for both middle class and upper class families is one of the biggest reasons for private buildings going down. Awareness is the first step I feel. Awareness and the will to maintain goes a long way. Ours is an old city, an important city, let’s preserve it. That will be a real tribute to Kempegowda!